Well it finally came. This part of the world is not known for its green Christmas days or balmy temperatures in winter. 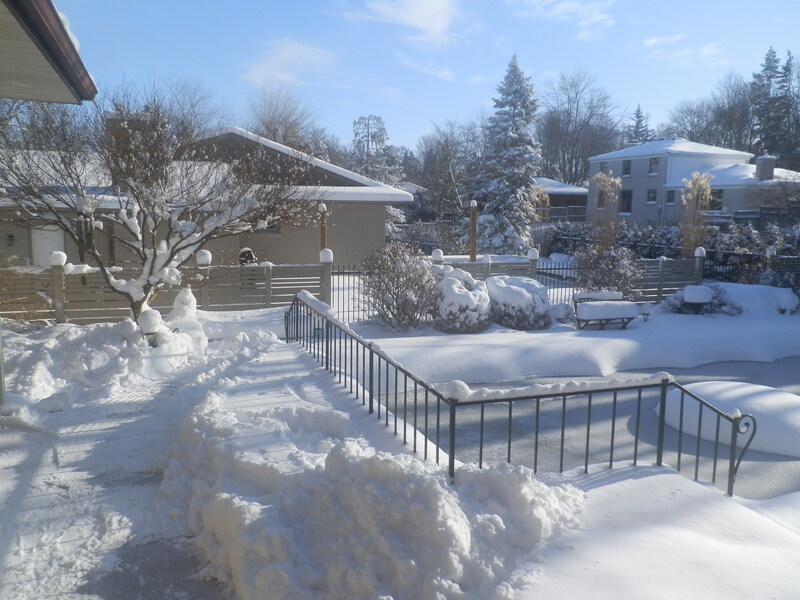 We are normally buried under several feet of snow by the end of November, and have developed considerable arm muscles by the end of December from all of the shovelling. It is a bit of a shock though when it comes all at once. This morning we were dumped on, as the saying goes. Better than a foot of snow covers everything in sight. As I look out of my window I see clean white mounds of snow and a clear blue sky. How can anything be more beautiful than this. 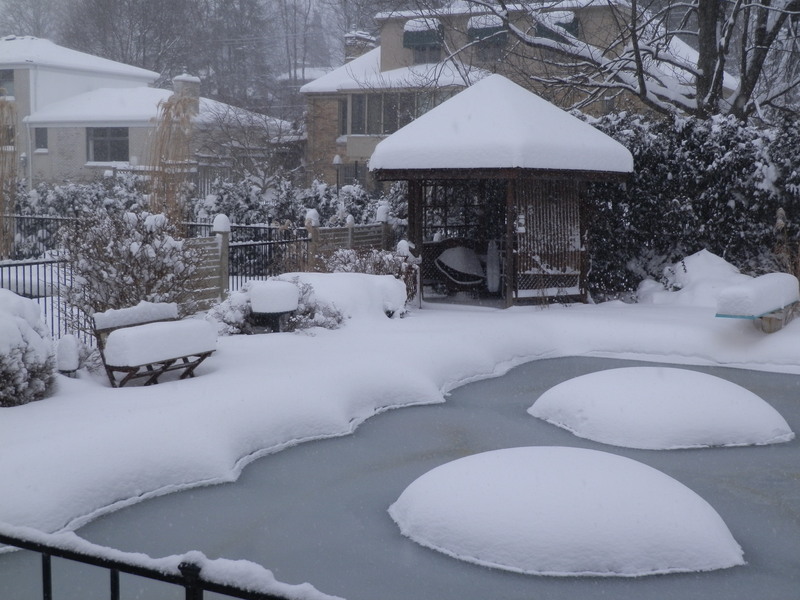 The swimming pool sports two new islands of snow thanks to the inner tubes under the protective cover. 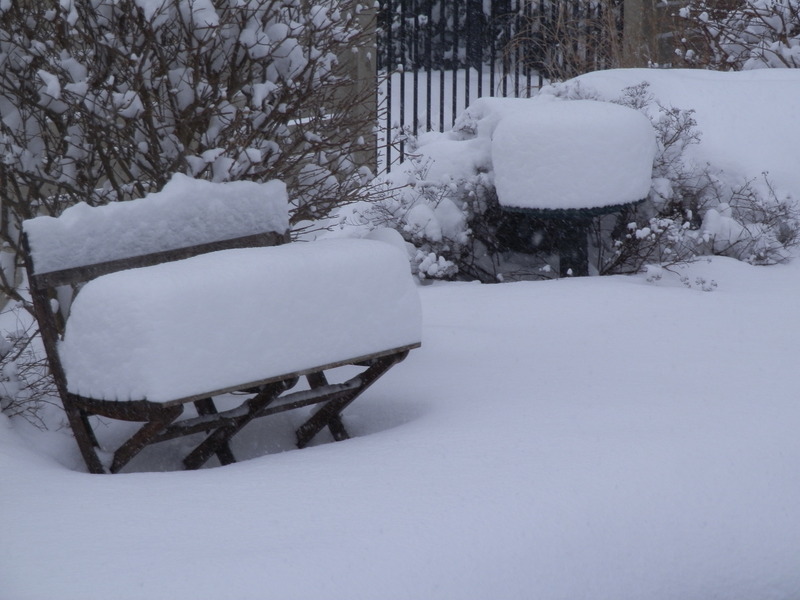 The bench that I forgot to store away in the garden shed, is piled high with the white, fluffy snow. Now all of the familiar winter tools come out to clear paths and drive-ways. Winter is finally here, and we busy ourselves with all of the activities that define us as people of the snow country, Canada. This entry was posted in This and that and tagged arm muscles, christmas days, clear blue sky, pool sports, This and that. Bookmark the permalink.